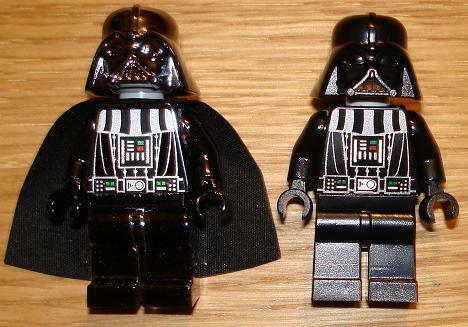 Some European FOLs pre-ordered the new Vader's TIE to find it comes with an extra Vader minifig... in chrome black! I wonder if this is in every Vader's TIE? Or maybe a Chrome gold 3PO type thing for Europeans? did we really need a new topic for this? especially when the "vader's tie" thread is so fresh. I'd be inclined to say yes, given that we don't know if it will actually come with all Vader's TIEs. Unless of course you'd have preferred that the "Golden threepio" thread was relocated to a general discussion of all early 2007 sets? Per that thread, the polybag containing the chrome helmet Vader wasn't packed into the set - so it's some other kind of promo it seems. So I was the one that found out. This was the case for the Swedish market that it came "with" pre-ordered 8017. So I think you should start to ask around in your local stores. Here it was not in a "chain-store" like TRU. But if it is a worldwide thing, it might be so for America. Oh, and I think there is more of these made then the C-3PO. I wonder how long it'll be before Chrome Vaders start turning up on Ebay for lots of money. From the pic it's kind of hard to tell. It doesn't really look chrome, just more glossy. Doesn't "chrome" imply that it should be a shiny gold or silver color? Otherwise, isn't it just a sort of metallic black-ish color? I'd like one (obviously) but some more details on how to get one in the UK would be good! Steve ... ?! My guess... Lego is probably doing a similar promotion like the Gold 3POs. Since 2009 is the 10th anniversary of Lego Star Wars I'm not too suprised they would do something like this. @Ras 74: Which was the name of that shop, do you think it have a onlineshop or could you buy one of 8017 with Promo for me ? Erm, dude, could you change that pic to a link please? ABSURDLY LARGE IMAGE TURNED INTO LINK'D! Srsly, Asajj. That ain't right, kiddo. My local toy shop, that is called Toy Shop is one of 10 stores in Sweden that got this. 100 sets and figs per store. Which makes it 1000 sets and promotional mini-figs in separat polybags. The reason for getting this is that they sell the biggest quantity of sets per year. When I signed up for this set, I knew there was gonna be another Vader on the side of the box. But I had no idea that it would be this fig. No the time for signing up, is gone. If I would have Know that there would be this fig coming, I would have signed up for at least 10 more. Those are the facts that I know now! If I am to make a wild guess, for some reason Sweden was selected for this first thing. I think that there will be something like the C-3PO issue, where they will be in random sets, and hopefully, around the globe. Here is a link to a comparison picture, http://www.brickshelf.com/gallery/Rasmus/SW/021.jpg. Hope that this helps you out some more. Oh, and it sure is chrome-black! That Darth Vader is way cool. That being said, it would be sweet if we could sign up where I am for pre-orders. Europe and the U.S are benefiting from SWLego popularity in that respect. Lego Australia never offers anything, it is almost a glorified Lego company. They have to be the sorriest Lego reps on the planet. They don't appear to have much of anything on offer. We don't even have LEGO store franchises, let alone a cool toy store that offers promos. 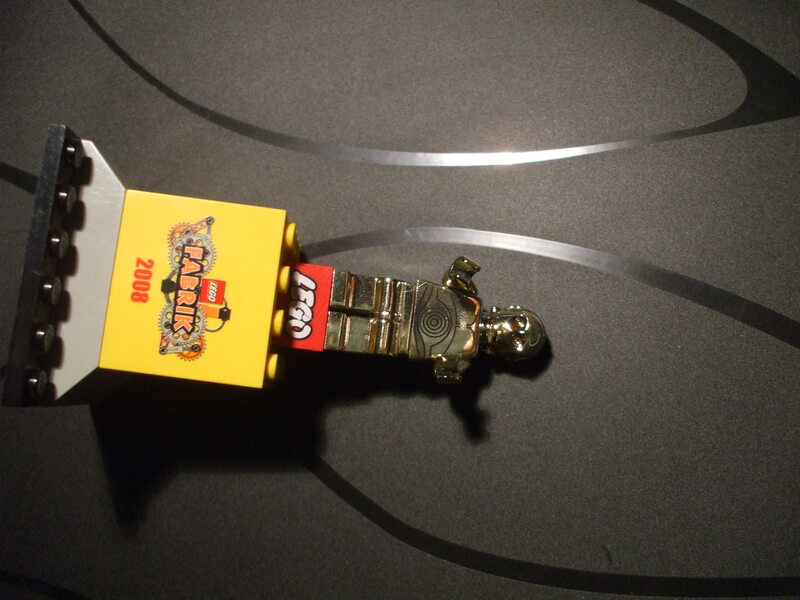 The closest thing that we ever came to a promo is a free Lego mag subscription with purchase (from major department stores) or at TRU when they offered fugtoon Anakin keyrings after spending a fortune buying overpriced SWLego. Du r�kar inte ha n�gon lista �ver vilka tio aff�rer det r�r sig om...? Sagoland i Link�ping k�nner jag till, men f�rutom dem? Det verkar ju som om det �r k�rt �nd�, om tiden f�r f�rbest�llning �r ute? I think Duchessa is asking if he has a list of the ten stores which are running this promotion (besides Sagoland). Hope I am right, with my bare bones knowledge of Swedish. Coolness aside, I don't understand why they chromed Darth Vader. He's not even metallic in any way! C3PO, I understand, but Vader? I would say it's for the very deep and profound reason of IT JUST LOOKS AWESOME. Thought you where out of lego these days. I haven�t been very freaquent here though. Or anywhere to be specific. Nej jag har ingen lista. �nskar jag hade haft en. H�rde talas om en aff�r i J�nk�ping med. Skulle vara den n�rmsta fr�n GBG. So a friend of mine that is an Amb. has asked several LEGO emps. to get some answers to all the mystery. Eighter they just laughs at us �cause we have no clue right now, or he will get some answers. Eighter he or I will let you know as soon as we know more of this matter. Thats pretty cool. I would take the regular new-torso Vader too. The Darth Vader's TIE (8017) includes a Darth Vader minifigure. However, it is not possible that customers who pre-ordered this item would receive an additional minifigure, as the LEGO Group does not have the rights to sell or distribute figures seperately. Our license partners, LucasArts have already allowed another toy manufacturer to produce Star Wars figurines, and so we can only sell them within a set. We do currently have set 8017 in stock, and you are more than welcome to order it, but you will not receive an extra minifigure. So there ya go ... Ras 74, you've clearly dreamt this because it just can't happen!! Either that or the Lego Rep who answered me doesn't know their patootie from their elbow. Interesting though that they say I can order the main set when it's not out yet?! I'm wondering what specifically you asked them... Also, either Steve hates me or he doesn't know about it. Why else wouldn't he answer my email? I asked them how I could get this minifigure in the UK ... simple as that! Ha ha ha... that was funny! I think they can do this since you had to buy the set, but not the figure it self though. A wild guess is that this might be like with C-3PO. It will be randomly put into sets. The question is still, where in the world will this happend? That's the ver BIG question! I asked my lego@service in Germany. They said that they can't say anything about that. But mayby this auction will be in the United Kingdom, too. But I didn't now if it's right? I've just asked around in our office and I can confirm that LEGO set is not official so, yes, it's a fake. We'll certainly investigate further to prevent other customers to think we sell or make promotions with individual licensed minifigures. so now this thing is apparfently a fake!